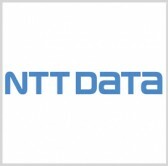 NTT Data has secured a potential seven-year, $533.7 million to operate the automated fare collection system in Australia’s state of Victoria. The company said Monday it helped Public Transport Victoria build and implement the myki smart card ticketing system across the state’s regional and metropolitan centers in December 2008. Myki is designed to manage as many as 400 million passenger trips via trains, buses and trams each year. Greg Purdy, NTT Data senior vice president, said the company has updated the contactless ticketing system’s gates and readers, online service and top-up machines. “We now look forward to being able to support the government in the development of future improvements that enhance myki,” Purdy added. Work on the contract is scheduled to commence Jan. 1, 2017.